Free Practice 1 + 2: In the first practice session the Kaufmann drivers started to be P 3 - Norris, P 5 - Daruvala and P 6 - Shwartzman. In the second session Norris was fastest ahead of Shwartzman on P 2. Jehan Daruvala was P 4. Qualifying 1 + 2: In both Qualifying sessions the Kaufmann Drivers were dominant. Norris took Pole Position for both race. 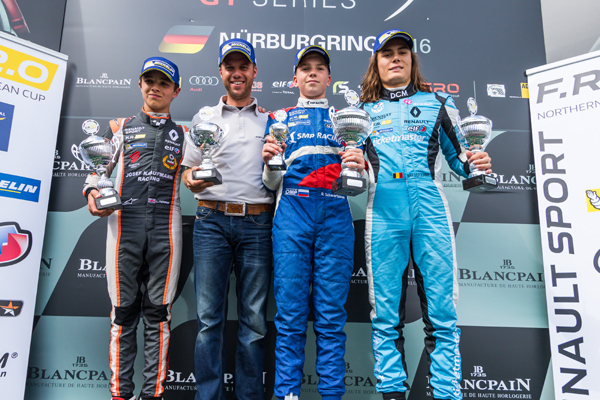 Shwartzman was P 2 and P 3 and Daruvala P 5 and P 2. 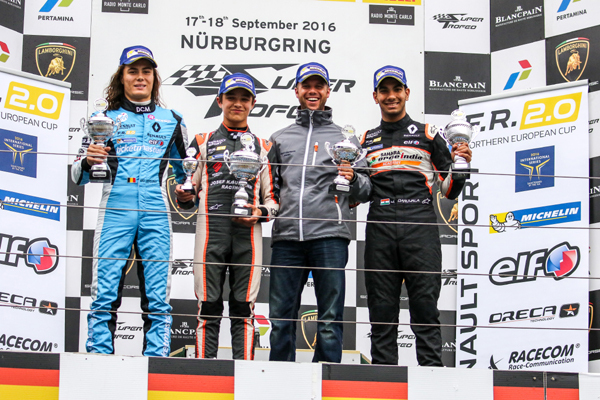 Impressive performance of all Kaufmann drivers. Race 1: In the first race Shwartzman got the better start and overtook Norris. Daruvala was able to move up one position to P 4. 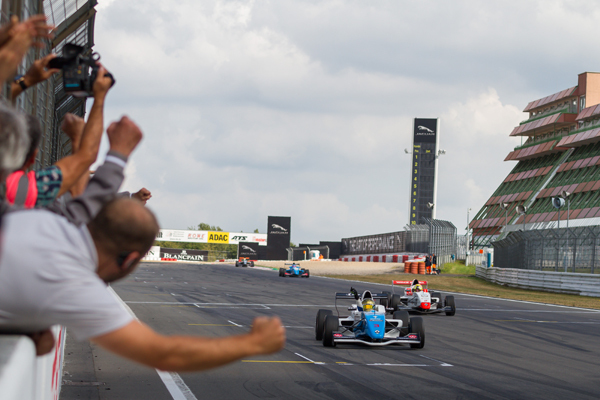 After a short Safety Car period Shwartzman kept control and drove a superb race to take his maiden victory in Formula Renault 2.0 ahead of his teammate Norris. Daruvala finished P 4. Race 2: In the second race difficult weather conditions causes delay in the start. After 3 formation laps, Norris kept his lead. Daruvala lost one position to P 3 and Shwartzman was taken out of the race in turn 1 after beeing hit on his rear tyre. After another Safety Car period Norris was leading the race. Daruvala was running on P 3 and took another podium finish in the end. Norris once more drove without any mistake to take another victory.